In this crossover episode, Allan and Kattie are interviewed on the This Week in Mormons podcast. Allan and Kattie discuss their story, and what they’ve learned over the past few years as a mixed faith couple. Check out thisweekinmormons.com for more content from our friends over there, and subscribe to their podcast! Allan and Kattie are joined by Colton and Richelle Baines. The Baines are relatively new to mixed faith marriage and are using this podcast as a way of telling their family and close friends about the shift in Colton’s beliefs. Allan records a short episode about an email exchange with a listener. 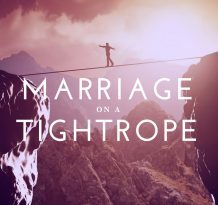 You have until 2/16 to vote for Marriage on a Tightrope as Best New Podcast at mainstreetplaza.com! Kattie and Allan share their recent experience posting publicly about Allan’s shifting beliefs on Instagram and Facebook. They talk about what Christmas is like in a mixed faith couple, and talk about a few “firsts” they’ve had to reconcile. Allan and Kattie sit down with Matt and Lindsay Kjar for an interview. Yet another mixed faith couple is thriving! 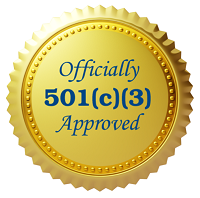 Marriage On A Tightrope: 013: Updates, and Emails, and Ramblings OH MY! Sometimes you have to hit record and just talk it out. Kattie and Allan give a brief update on the latest in their lives, Kattie answers a commonly asked listener question, and Allan teaches primary on Mother’s Day.